Great Savings On These Featured New Audi Vehicles! Audi of Lexington in Lexington, KY is your source for new Audi models in Lexington and Western and Northern Kentucky. Audi of Lexington has new and used cars of a variety of makes and models. We are your source for Audi A3, A4, A5, A6, A7, A8, TT, Q5 and Audi Q7 and the S4, S5, S6, S7 and Audi S8 in Lexington, KY. We service Burgin, Ford, Georgetown, KY and Hope, Midway, Keene, Millersburg, Mount Sterling, Kentucky as well as Nicholasville, Paris, and Waco, KY. If you are looking for a new, pre-owned or CPO/Certified Pre-Owned Audi in Versailles, Wimore, Winchester, KY and need an Audi in North Middletown, Stamping Ground or Bryantsville, KY...Audi of Lexington in Lexington, KY is your source for that Audi. Audi of Lexington also services Lancaster and Richmond, Kentucky. We know that you have high expectations from your Audi dealer, and as a car dealer we enjoy the challenge of meeting and exceeding those standards each and every time at Audi of Lexington. Allow Audi of Lexington to demonstrate our commitment to excellence! Our experienced sales staff at Audi of Lexington is eager to share its knowledge and enthusiasm with you. We encourage you to browse our online inventory, schedule a test drive and investigate financing options. You can also request more information about a vehicle using our online form or by calling (888) 860-5842 to speak to our experience Audi staff. Here in Lexington, we understand the value of a luxury car, and you can trust that our selection of Audi models does more than impress your neighbors and coworkers. These models are built to last and have what it takes to be your preferred mode of transportation, your favorite weekend warrior, or anything else that you may need it to be. We're here to help you buy, maintain, and enjoy your Audi model for years to come, and though we sell these cars, that's just scratching the surface of what we do for our customers. 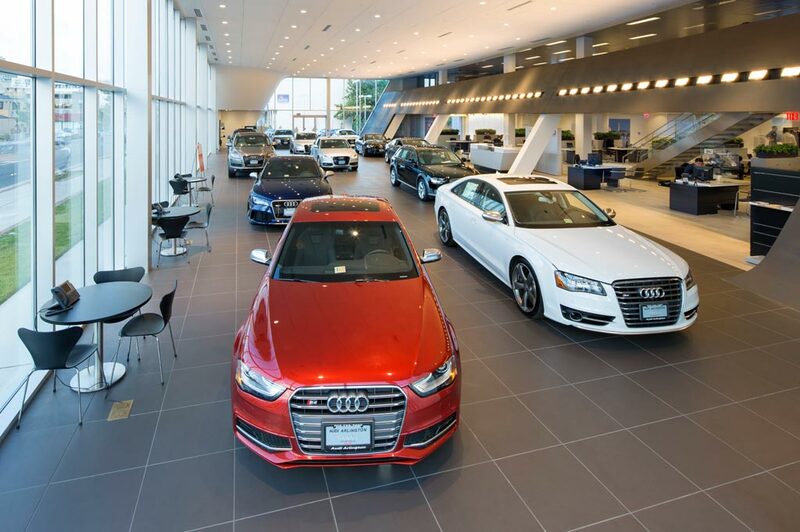 When you leave Georgetown to test drive something from our new Audi model inventory, you know you're getting the state-of-the-art features and cutting-edge technology that the brand is known for providing. We know that finding the right Q5, Q7, Q8, A4, A5 Sportback is a big step in your life, and we want to be part of the process with you. When you browse our selection of new Audi models, you'll get to customize the search based on body style, trim level, feature, and model year, leaving you with only vehicles matching these requirements. Saving time is important to our customers, and so is saving money, which is why we also provide a valuable service in selling a variety of models in our pre-owned selection. Getting the features, you need at a price that you love is another reason why you should count on us to get you the exact vehicle that you want without the hassle of wasting time sifting through dozens of cars to find it. Just like our new inventory, you can customize your search based on the needs of your lifestyle and get closer to finding what you want faster than ever. We also provide a wide selection of Certified Pre-Owned Audi models and used off-brand vehicles from BMW, Mercedes-Benz, and more. With our inventory, you won't feel restricted in your options, especially with more than 1,000 used models available between our two stores as part of the Gates Auto Group. After 11 years in business, you pick up a thing or two, and our Frankfort customers benefit from our expertise, especially where financing is concerned. You can apply for financing online before your test drive, or work with our team of professionals after you have selected the right model and get quality assistance during any stage in the process. We'll help you find your best lease or loan terms through Audi FS and other lenders to suit your life the best, and it takes no time at all. After you've driven home to Nicholasville in your new or used Audi model, it's time to think ahead and plan for the routine maintenance that you'll need for your car down the road. Whether it's an unexpected mishap or an oil change, our service team knows Audi models inside and out and can give you the best care possible to protect your investment. We have what it takes to keep you commuting from Richmond in style, and it's also important to know that we don't use aftermarket parts on your Audi model. Not only do we have a team who cares, but our waiting area is ready to satisfy with coffee, water, juice, snacks, and sparkling water while you wait. If you're not waiting while we provide your vehicle, regardless of make, with repairs or general maintenance, take advantage of our loaners and shuttle service, ready to take you to work or home, so you don't miss out on anything while your vehicle is in our shop. Your vehicle was made with certain specifications that aftermarket parts can't handle, and rather than have you wasting time and money replacing the same parts, we use only OEM-approved parts every time, from tires to oil filters to brake pads. Are you the DIY type? Use our eBay parts store and find what you need fast and during any time of day or night. Contact us with questions or to find you something special, and we're happy to help. We are locally owned and operated so we can stay in touch with our customers here at our dealership. We do what we can to stay connected to you, so let us know how we can help you today.